In the last couple of weeks, the color red really grew on me. I saw so many cool outfits on Instagram which included a red accessoire or a statement tee in red. Since I mainly wear blush pink as a color, this is a great alternative and I am currently looking to stock up my closet with some red items. I´d love to get a red and white statement tee, but the pieces for today´s post wouldn´t hurt either. Miss Selfridge embellished bag: a red bag is a great way to introduce some color in to your wardrobe, without going full on with a red sweater or jacket. 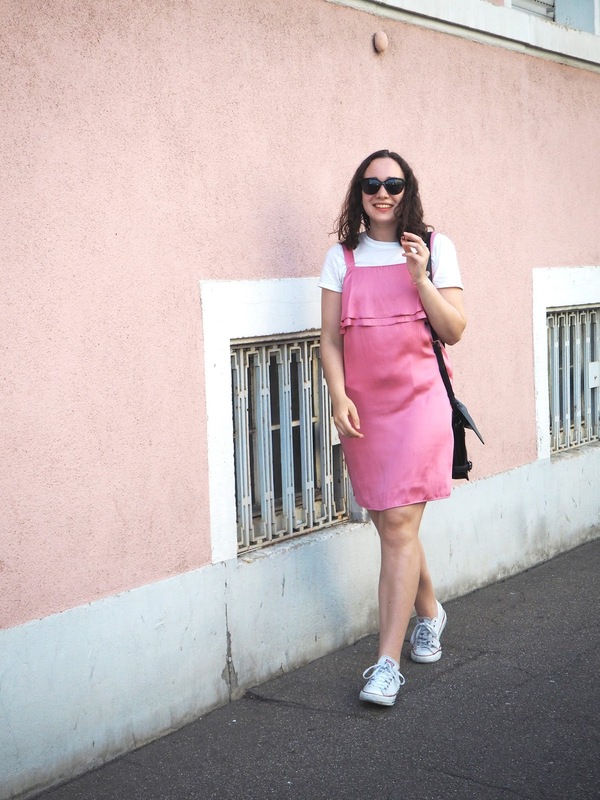 You don´t feel comfortable wearing lots of color? Combine this bag with an all black and white outfit and it´s going to look amazing. Armor Lux striped tee: a striped shirt is another way to wear red without going too crazy. To me, stripes are always a way to play things safe, but at the same time, be stylish. Just change your regular black and white striped shirt for this red number! 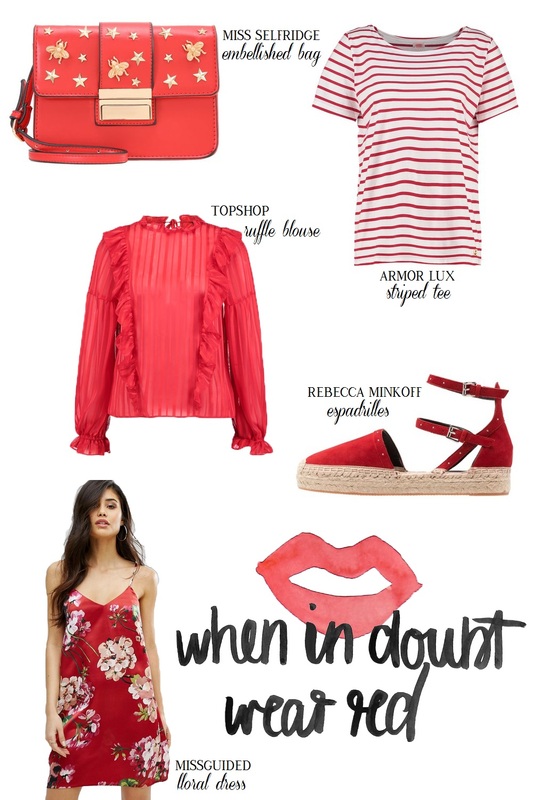 Topshop ruffle blouse: this cute blouse by Topshop combines two trends of the season: red and ruffles. What´s not to love? Rebecca Minkoff espadrilles: Since I am not the biggest sandal fan, I really like to wear espadrilles in spring and summer. Imagine these red ones with a white dress or denim cut offs and the stiped tee. Missguided floral dress: this dress is my favorite piece from this post. It´s quite "out there" with the gucci inspired print, but I love it. In a typical Julia way, I would wear it with white espadrilles or converse for a more casual look.